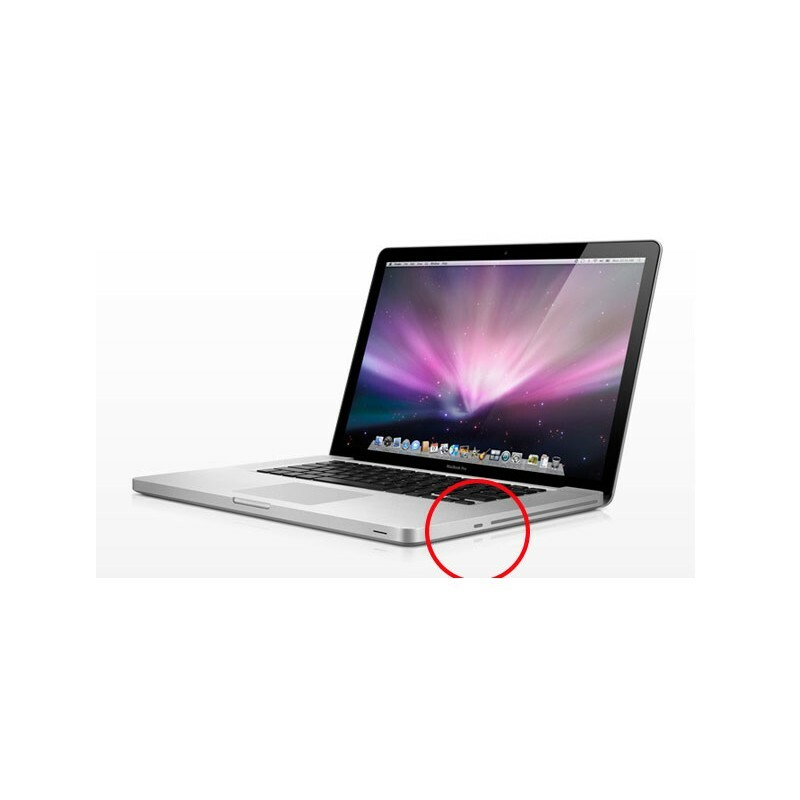 MicroSaver uses a unique security slot already built into the MacBook Pro, MacBook, flat-panel iMac, Titanium PowerBook G4, G3, iBook computers and Apple Cinema Displays (except the LED Cinema Display). 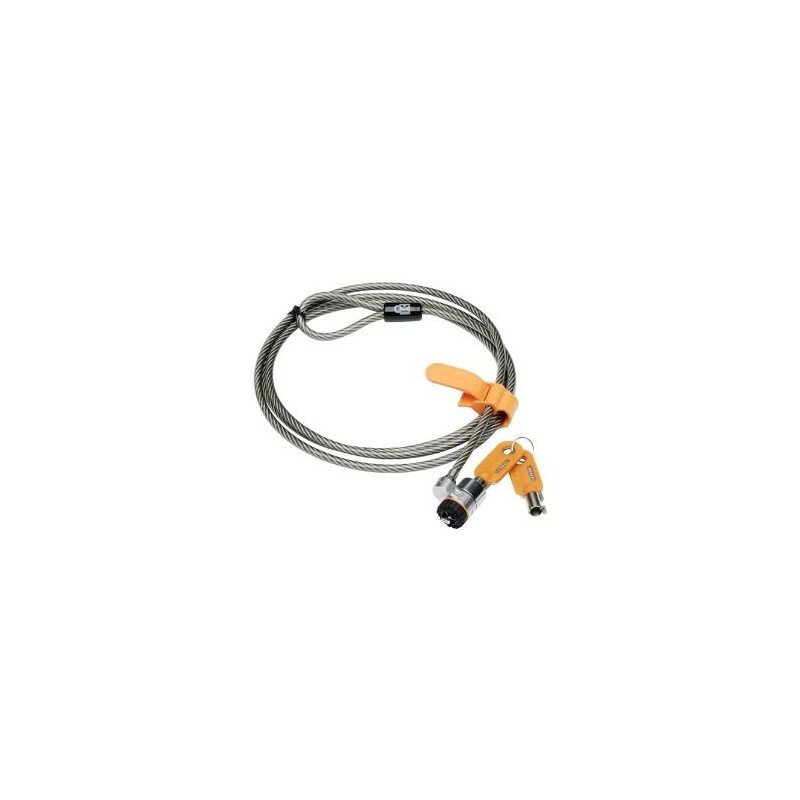 Simply wrap the 6-foot galvanized steel cable around any immovable object, then insert the MicroSaver into the security slot and turn the key. That's it - simple and secure. 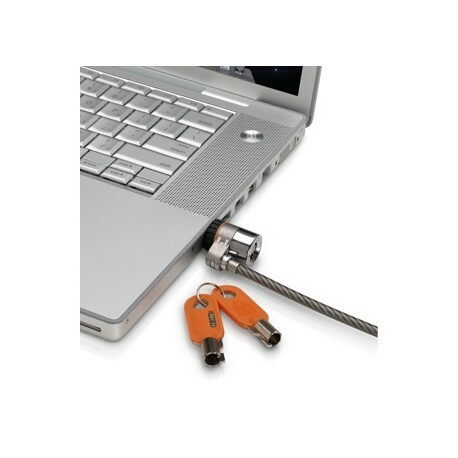 Can use with Projectors, Thin Screens, etc.